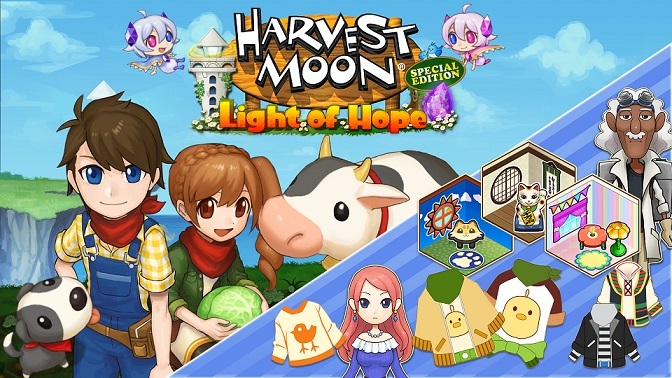 Natsume has released the third round of DLC for Harvest Moon: Light of Hope Special Edition on Nintendo Switch today. The DLC pack is called “Doc’s and Melanie’s Special Episodes”, now available for USD5.99 on Nintendo eShop. Check out what you can expect to receive below. Reward: Seasonal outfits for the main and marriageable characters…Over 40 new outfits! Reward: Ability to change your house interior…7 unique interiors designs!